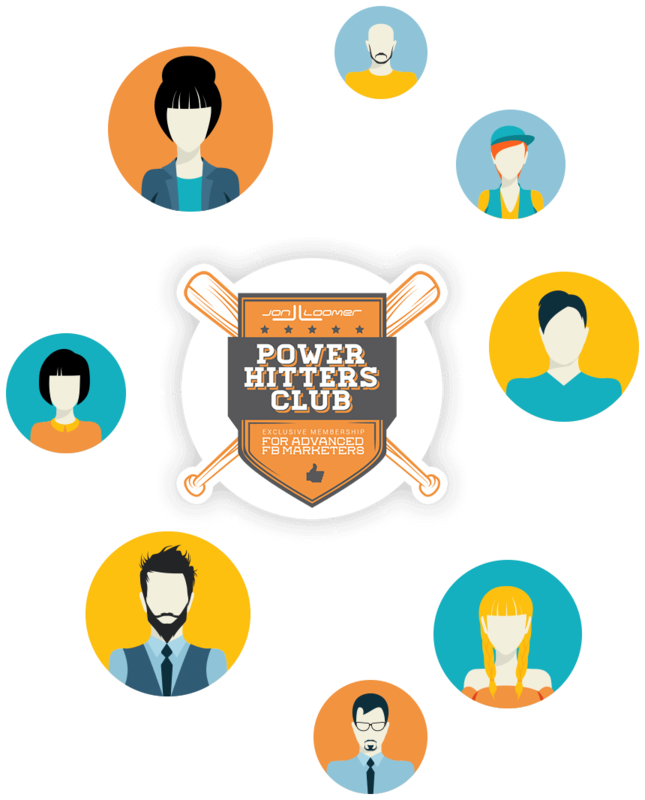 I created the Power Hitters Club to provide a powerful community for Facebook marketers to share, learn and help one another. The PHC provides members with access to hundreds of advertisers who have done what you’re trying to do, have worked in your industry and who can pull from valuable experience. PHC – ELITE is my exclusive membership meant for the most advanced of Facebook advertisers. Benefits to members include access to a private community of advanced advertisers, live and training replays, live weekly webinars, Quick Video Tutorials library, and virtual get-togethers. The Power Hitters Club was started in 2014 with the goal of bringing together like-minded individuals around the complex topic of Facebook advertising. Thanks to the power of the community, I wanted to concentrate the diverse experiences of advertisers into one group. Those who are serious about maintaining their sharp skills with Facebook ads join the PHC. We support one another, share strategies and case studies, and alert one another of new features and how to use them. Consider the PHC the helpful Facebook ads rep you never had. Even better, the equivalence of hundreds of reps in one place! One of the primary challenges for Facebook advertisers is that the tools are constantly changing. Keep up with the changes, thanks to a weekly 30-minute webinar (available live and recorded for PCH – Elite members). Within your community, there are hundreds of advanced advertisers with experience in Facebook ads covering a diverse representation of industry and country. Whatever your problem, someone else has already dealt with it. If you need to get yourself caught up, you’ll have immediate access to replays of training programs that Jon has conducted in the past as well as access to live training that happens during your membership (PHC – Elite only). 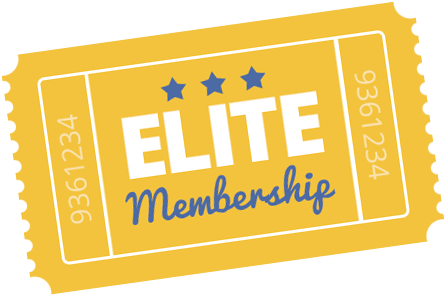 Power Hitters Club – Elite is the full package for advanced Facebook advertisers. It includes access to an active and helpful community for PHC – Elite members only, live weekly webinars, more than 180 weekly webinar replays, a collection of training program replays ($147 – $497 value each), and access to all future LIVE training program webinars ($147 value each). One of the most valuable pieces of this membership is access to a private Facebook group for advanced Facebook advertisers only. This is where experienced advertisers from all industries and backgrounds go to share stories and help one another. This is also the group that Jon spends more time in! While it’s not intended to be an “Ask Jon Forum,” Jon does regularly engage in this community. Every week, live webinars are conducted for PHC – Elite members. These members also have access to a library of all prior replays (nearly 200 of them!) on the members’ site. I started creating Quick Video Tutorials in the fall of 2017 (see link). I recorded 50 free videos for the public, but all future videos (published once or twice per week) are available only to PHC – Basic and Elite members. Another benefit of PHC – Elite is our regular virtual Happy Hours. While most communities rely entirely on communication within a forum, we take conversation to another level. Share your strategies, obstacles, and questions with members via webcam and microphone. It’s one more reason why this is such a tight community! all replays are available to PHC – Elite members at no extra cost! PHC – Elite members also get access to the live stream of these training programs. I use Facebook Live to stream the lessons to PHC – Elite members via the private Facebook group. You’ll continue to get access to all future training programs not listed here as long as you are a PHC – Elite member. Live weekly webinars are available to PHC – Elite members only (the replays are available to PHC – Basic members). Every Wednesday at 4pm EST, a live webinar is held to update members on everything that happened during the past week that impacts them as an advanced Facebook advertiser. There are typically around 10 topics covered during these 30-40 minute webinars that also include a period for Q&A. Facebook changes fast. This is how you stay ahead of those changes! One of the most valuable pieces of this membership is access to a private Facebook group for PHC – Basic members only. This is where advertisers of all levels go to share their stories and help one another! Note that Jon spends most of his time in the PHC – Elite group. Every week, live webinars are conducted for PHC – Elite members. However, the replay videos (beginning in November of 2016) are also uploaded directly into the PHC – Basic Facebook group the day they happen.